For more information on our range of scaffold services, get in contact with Diamond Scaffolding today. 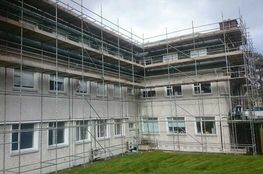 Diamond Scaffolding is Ireland’s premier company for quality domestic and commercial scaffolding. Our goal is to provide our clients with easy access to difficult areas for construction work and development projects. Don’t take a chance with scaffolding on your next project, get in contact with Ireland’s premier scaffolding hire company today. 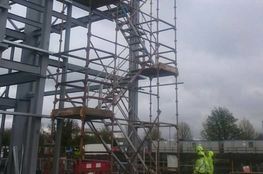 We provide a fast and efficient domestic scaffolding service, quickly erecting scaffolding to ensure work can begin as soon as possible. Our domestic scaffolding services are offered at extremely competitive prices. 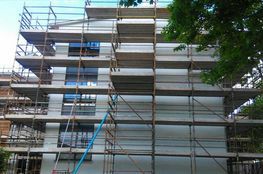 We provide scaffolding for commercial customers and projects throughout Ireland. Scaffolding is erected in a fast and efficient manner with all necessary health and safety precautions adhered to. 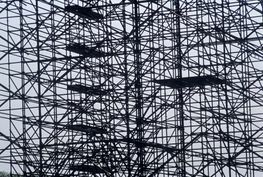 This is the most widely used scaffolding system available. Its popularity is down to its safety and ease of construction. Diamond Scaffolding provides our clients with some of the best maintained Kwikstage Scaffolding available. Diamond Scaffolding is fully insured under Public Liability insurance and all of our scaffolders are trained to the highest standard and provide the immaculate customer service through their experience and knowledge of the industry and installation of scaffolding. We provide scaffolding solutions nationwide covering the residential and commercial sectors. Diamond Scaffolding ensures that all scaffolding installed meets the highest safety requirements. For more information on our products and services, contact us today for a free consultation and Quotation. If necessary, we can provide you with references on request. We also have in house safety officers on request for on-site approval.